Hannescamps is a village 20 kilometres to the south-west of Arras in the Department of the Pas de Calais. 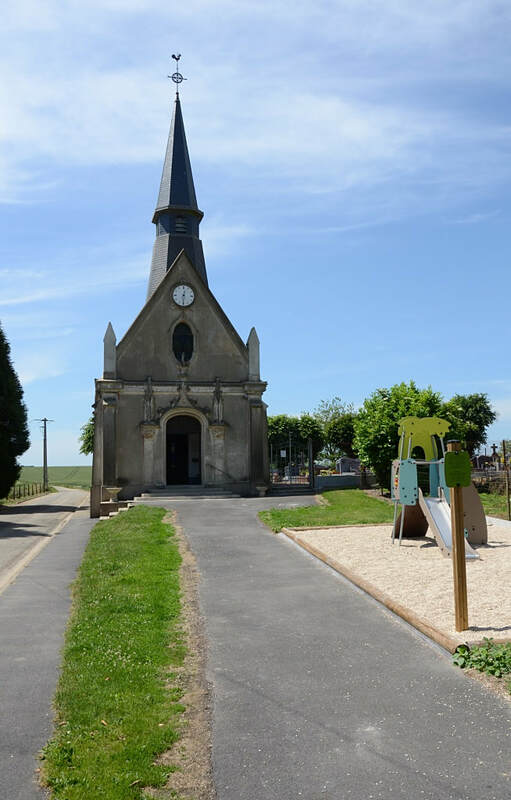 Visitors should follow the N25, Arras to Doullens road, as far as Beaumetz les Loges. Take the D7 to Ransart before turning right onto the D3, towards Foncquevillers. 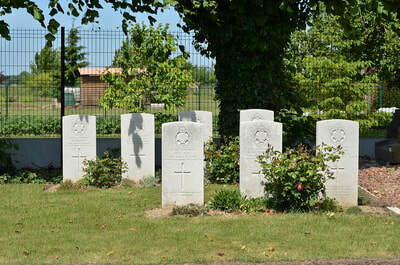 From the centre of Hannescamp, along the D8, follow the CWGC sign for Hannescamps New Military Cemetery. 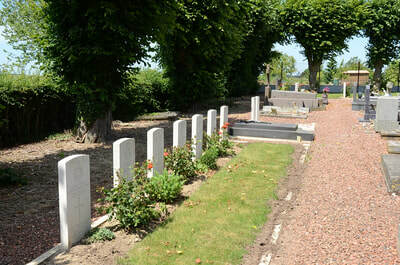 Turn left at the second CWGC sign for Hannescamps New Military Cemetery into Rue de l'Eglise. The Churchyard is next to the New Military Cemetery. Hannescamp was just behind the Allied front line until June 1916, and again in 1918. 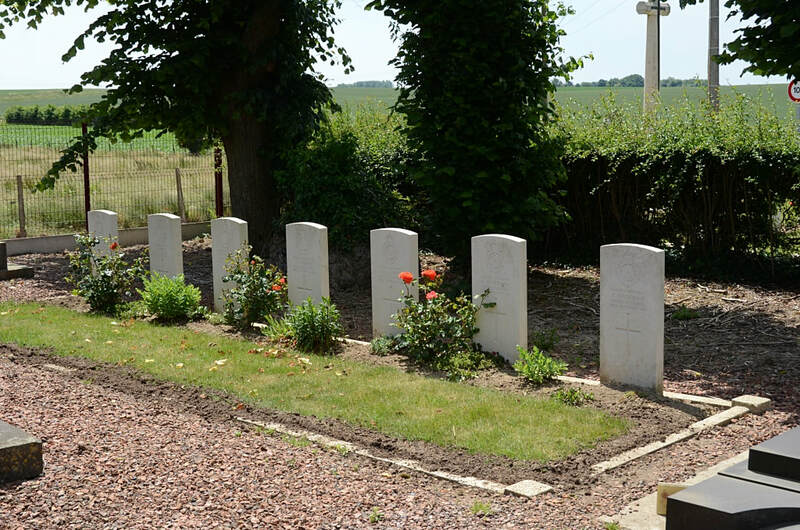 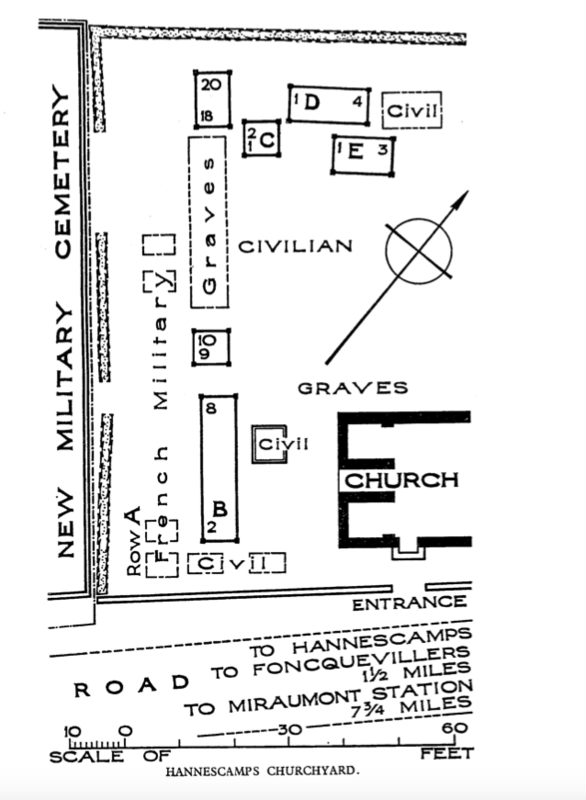 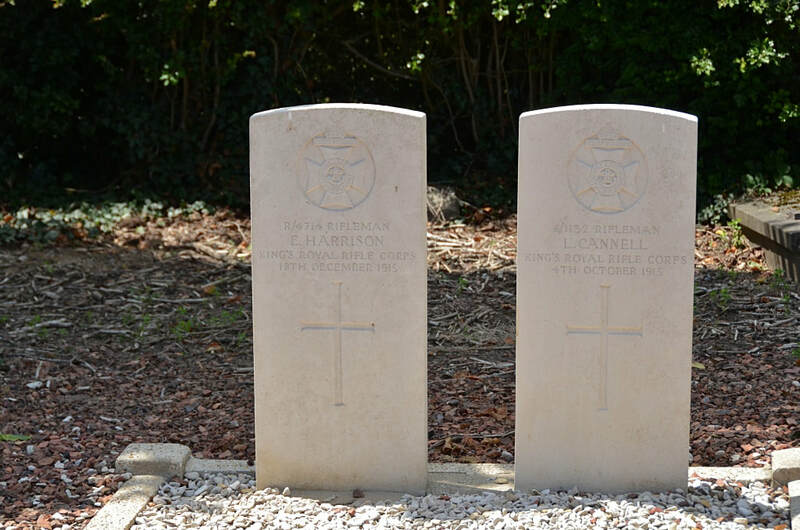 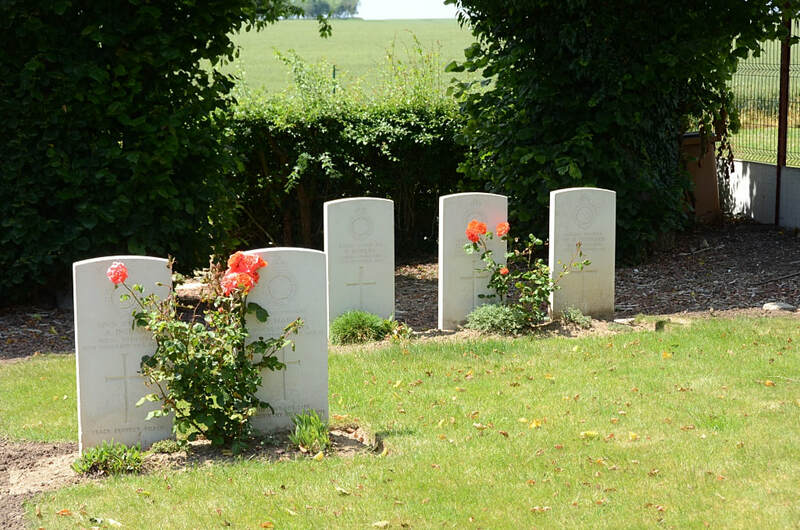 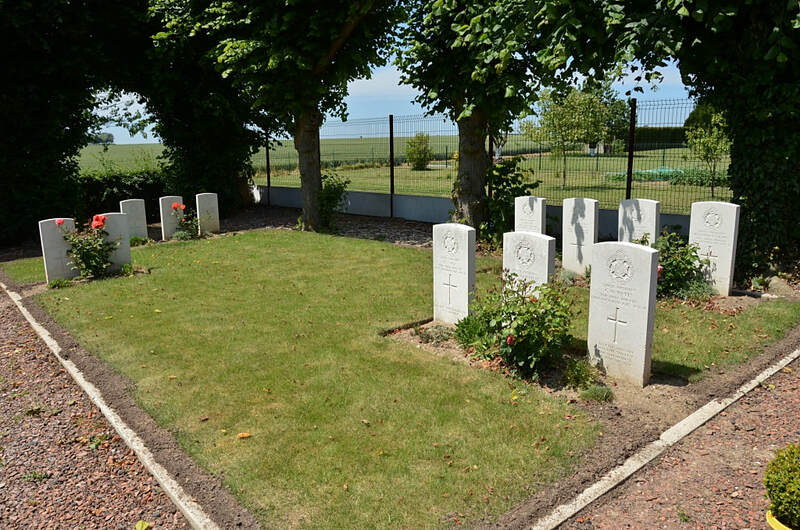 Hannescamps Churchyard was used by Commonwealth forces from October 1915 to January 1916 and contains 21 Commonwealth burials of the First World War.